We are a group of passionate people who love Maui and its unique culture, marine life, and community. Since opening our doors in 1998, we have worked together to protect and advocate for Hawai‘i’s marine life. We are proud to offer the best up-close and guaranteed encounters with the most unique and amazing marine life, some of which are found only in Hawai‘i. With one of the largest collections of live Pacific corals in the world, a virtual whale encounter in the Humpbacks of Hawai‘i Exhibit & Sphere, 20 daily presentations, outdoor tide pools, and a 750,000-gallon Open Ocean exhibit with a 240-degree view acrylic tunnel, we hope to provide guests an understanding and appreciation of Hawai‘i’s marine environment and local culture. To foster understanding, wonder, and respect for Hawai‘i’s Marine Life. All animals at Maui Ocean Center are meticulously collected and cared for by an expert team of marine biologists, divers, and aquarists. Collection is conducted under strict permits with the Hawai‘i State Department of Land and Natural Resources, Division of Aquatic Resources, and under the guidance of Hawaiian Cultural Advisor, Kahu (caretaker) Dane Maxwell. Maui Ocean Center is respectfully in compliance with a County of Maui ordinance prohibiting the exhibit of cetaceans (whales and dolphins). Learn about humpback whales in our state-of-the-art Humpbacks of Hawai‘i Exhibit & Sphere. 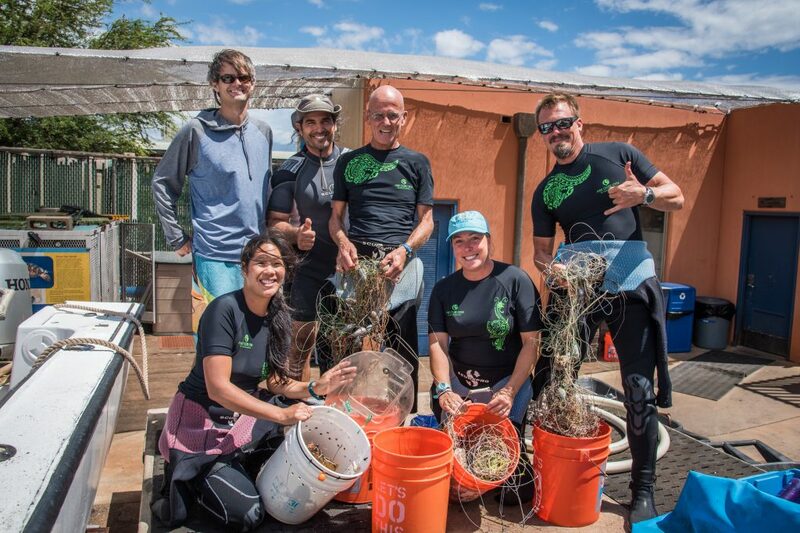 Dedicated to perpetuating and sharing the island’s culture, Maui Ocean Center maintains a close relationship with Hawaiian practitioners in the community. With the guidance of Kahu Dane Maxwell, the Aquarium integrates Hawaiian culture in presentations, exhibits, special events, and also in the marine park’s standard of operations and service. Kahu Dane Maxwell presides over blessings of important functions and facilities, as well as blessings of marine animals such as the honu (Hawaiian green sea turtle) and manō (shark).